On Oct. 17, many Canadians will have the legal right to cultivate small amounts of cannabis at home. But just because something is legal doesn't mean it's without potential pitfalls. Here are some of the questions aspiring green thumbs will want to consider before potting pot plants indoors this fall. Will it damage my home? The governments of Manitoba and Quebec have pre-emptively banned home growing, but elsewhere across the country, households will soon be allowed to grow up to four cannabis plants at a time — a limit chosen by the federal government to minimize the health and safety risks of cultivation. However, some in the real estate and insurance industries warn that growing even a few plants inside isn't safe. They say grow lights pose a fire hazard and the high humidity required for successful cultivation encourages mould. Mike Dixon, environmental science professor and director of the Controlled Environment Systems Research Facility at the University of Guelph, disagrees. He says the amount of moisture produced by four plants wouldn't be nearly enough to encourage mould. "The history [of home damage] has been based on grow-ops, where you're growing hundreds of plants and producing hundreds of litres of water," Dixon said. "With four plants? Nah." When it comes to grow lights, Dixon said a single LED light of about 200 watts is perfectly sufficient to safely heat four plants without having to upgrade your circuit board. Will it affect my insurance? Jennifer Huneault, an insurance lawyer at Hughes Amys LLP, said most insurance policies currently contain a stipulation that voids coverage on properties used for marijuana cultivation. Once home growing is legal, companies will need to decide whether to make an exception for four plants. She expects some companies will, but others that are more risk-averse may hesitate, especially given the stigma attached to home growing. "Insurance companies don't tend to do home inspections before issuing policies, so that's where we run into sigma," she said. "Everyone has this idea of a grow-op, so it'll be an uphill battle." Chris Ball, CEO of Reliance Insurance Agencies Ltd., agrees with Huneault but said as growing becomes more common and as the risk is shown to be reduced, underwriters — the insurance professionals who evaluate the risks of insuring people and properties — will give insurance companies the go-ahead to consider policies for home growing. "Only some [insurance companies] have an appetite for it right now," Ball said. "As society wraps its head around the evolution of social values, this is likely to change." Will I have trouble selling my house? A conducted by online real estate brokerage Zoocasa found that nearly half of all respondents would reconsider purchasing a property if they knew marijuana — even a legal amount — had been grown inside the home. Tim Hudak, CEO of the Ontario Real Estate Association, said homeowners looking to sell should expect to be quizzed about cannabis — "whether they grew marijuana, for how long and how much." Even if homeowners stick to the four-plant limit, Huneault said they could still face the same type of stigma attached to large-scale grow-ops. "I think once it's found that a house was used to grow marijuana ... then there will be less of a desire for an insurer to insure that house just because of the inherent risk that comes with mould and everything else," she said. Properties that aren't insured are much more difficult to sell. Can I grow cannabis in my apartment or condo? Some provinces are giving tenant boards and landlords the authority to curb cannabis cultivation in their properties. In Ontario, for example, condominium boards are permitted to restrict occupants from growing cannabis, even if they've purchased their unit. 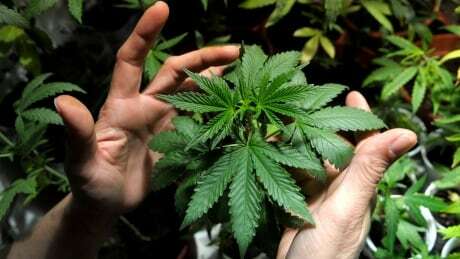 In apartments outside of Manitoba and Quebec — which won't allow any home growing whatsoever — landlords will be permitted to devise lease agreements that ban the practice for new tenants. In British Columbia and Nova Scotia, updated tenancy acts go a step further, allowing landlords to amend existing leases to prohibit their tenants from growing marijuana. Landlords in Ontario are lobbying their provincial government for the same power. Isn't it time the internet started acting its age? NewsX Explained: Things you need to know about who did Sri Lanka bomb blast? How to get rid of ingrown hairs and razor bumps?